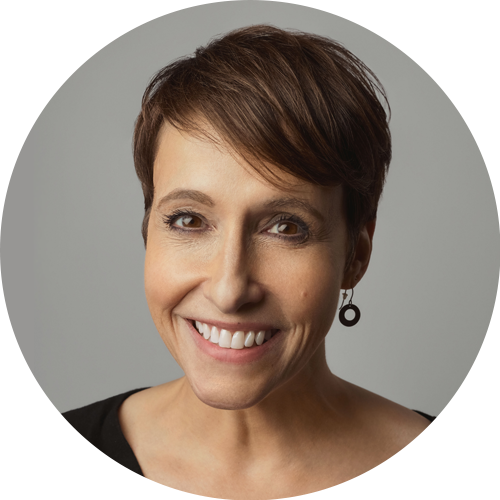 Jennifer Abrams is an international educational and communications consultant for public and independent schools, hospitals, universities and non-profits. Jennifer trains and coaches teachers, administrators, nurses, hospital personnel, and others on new employee support, supervision, being generationally savvy, having hard conversations and collaboration skills. In Palo Alto USD (Palo Alto, CA), Jennifer led professional development sessions on topics from equity and elements of effective instruction to teacher leadership and peer coaching and provided new teacher and administrator trainings at both the elementary and secondary level. From 2000-2011, Jennifer was lead coach for the Palo Alto-Mountain View-Los Altos-Saratoga-Los Gatos Consortium’s Beginning Teacher Support and Assessment Program. In her educational consulting work, Jennifer has presented at annual conferences such as Learning Forward, ASCD, NASSP, NAESP, AMLE, ISACS and the New Teacher Center Annual Symposium, as well as at the Teachers’ and Principals’ Centers for International School Leadership. Jennifer’s communications consulting in the health care sector includes training and coaching work at the Community Hospital of the Monterey Peninsula and Stanford Hospital. Jennifer’s publications include Having Hard Conversations, The Multigenerational Workplace: Communicating, Collaborating & Creating Community and Hard Conversations Unpacked – the Whos, the Whens and the What Ifs. 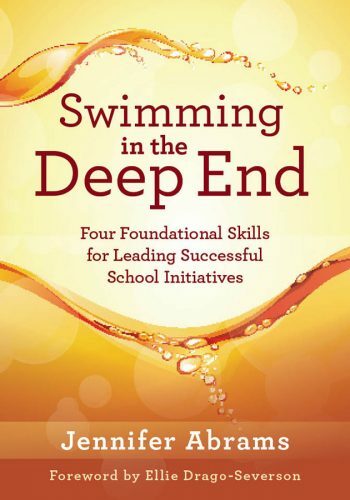 Her upcoming book, Swimming in the Deep End: Four Foundational Skills for Leading Successful School Initiatives, will be out March of 2019. Other publications include her chapter, “Habits of Mind for the School Savvy Leader” in Art Costa’s and Bena Kallick’s book, Learning and Leading with Habits of Mind: 16 Essential Characteristics for Success, and her contribution to the book, Mentors in the Making: Developing New Leaders for New Teachers published by Teachers College Press. Jennifer writes a monthly newsletter, Voice Lessons, available for reading at and subscribing to on her website, www.jenniferabrams.com and is a featured columnist, writing about personal development at www.eschoolnews.com. Jennifer has been recognized as one of “21 Women All K-12 Educators Need to Know” by Education Week’s ‘Finding Common Ground’ blog, and the International Academy of Educational Entrepreneurship. She has been a featured interviewee on the topic of professionalism for ASCD’s video series, Master Class, hosted by National Public Radio’s Claudio Sanchez, and in the lead article, “Finding Your Voice in Facilitating Productive Conversations” for Learning Forward’s The Leading Teacher, Summer 2013 newsletter; as a generational expert for “Tune in to What the New Generation of Teachers Can Do,” published in Phi Delta Kappan, (May 2011), and by the Ontario Ministry of Education for their Leadership Matters: Supporting Open-to-Learning Conversations video series. Jennifer considers herself a “voice coach,” helping others learn how to best use their voices – be it collaborating on a team, presenting in front of an audience, coaching a colleague, supervising an employee and in her role as an advisor for Reach Capital, an early stage educational technology fund. Jennifer holds a Master’s degree in Education from Stanford University and a Bachelor’s degree in English from Tufts University. She lives in Palo Alto, California. Jennifer can be reached at jennifer@jenniferabrams.com, www.jenniferabrams.com, and on Twitter @jenniferabrams.